I received the box on first of February and I would like to apologize for not posting until now. Glamego team is superb with meeting delivery deadlines. I was juggling between so many things and once everything was sorted I sat down and finished this post. Glamego theme for February month is classy flaunt because you know this is valentine month. 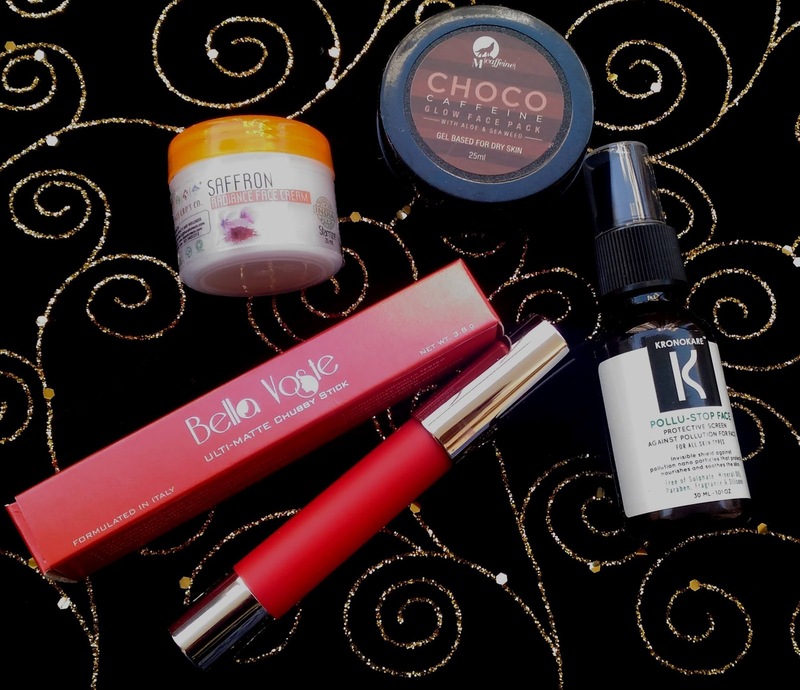 I received four products in Glamego February box. Mcaffeine Choco Face Pack – This is a full size product worth Rs. 359 which gives lustrous glow to your skin. I have used a chocolate scrub before but never a face pack. I am a chocolate lover and the fragrance is definitely going to tempt me. I am excited to try this out. 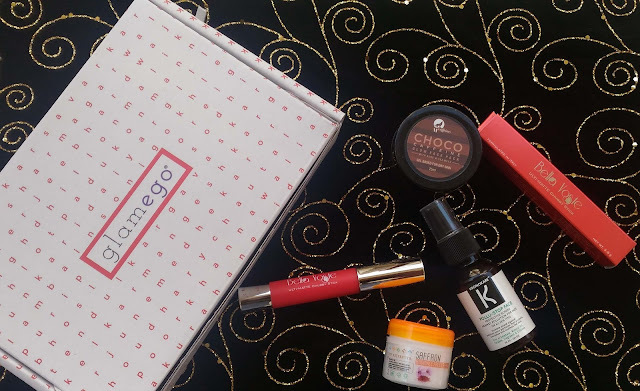 In Feb month box you can choose your choice of makeup from the wide range of options Glamego has offered. I choose Bella Voste Chubby Stick in shade Cat Fight which is priced at Rs. 499. I just love this colour and it looks awesome on my skin. The fourth product in Glamego box is The Nature’s Co Radiance Face Cream for Rs. 550. I am excited about the cream as I really like The Nature’s Co products. For merely Rs. 299 I received four products worth more than Rs. 1900. I will totally recommend this box to all R&W readers. If you wish to buy one for yourself or anyone you love than click here to subscribe.